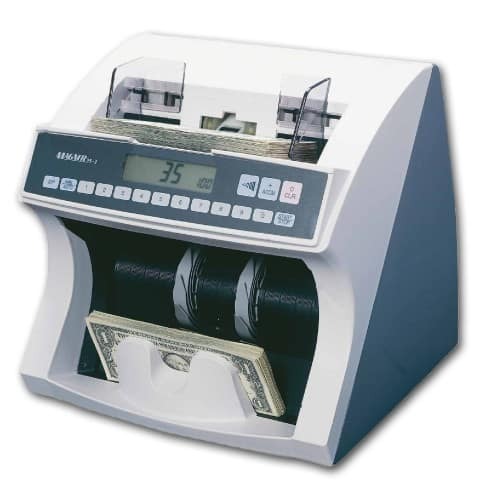 Magner 35-3 currency counter is a Mid-volume counting machine with simple operation without counterfeit detection. Counting speed is 1500 note/min and very compact machine. With Batch setup, the unit stops automatically when count reaches the preset batch amount. Reliable & Safety design. Unit Dimensions: 10.04" x 11.02" x 9.65"
10.04" x 11.02" x 9.65"